Competing in today’s market requires a highly trained workforce. One of our major assets is our experienced and skilled team. Ennis Electric’s commitment to providing outstanding education and training is the foundation of our success. Education and training is a continuous process, from specific skills to professional development. Continuing education empowers us to keep our workforce up-to-date with all new technologies, code revisions and industry practices. 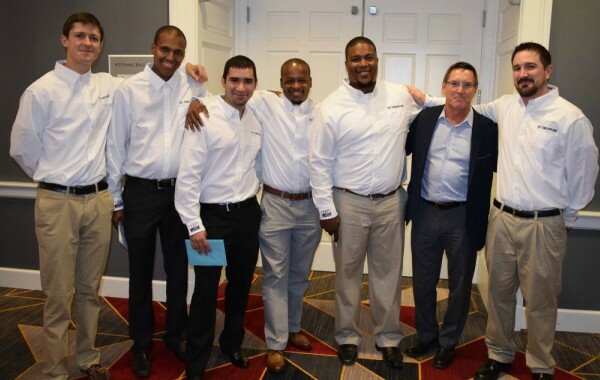 Our ongoing leadership training provides frequent professional development, helping our employees to grow and become the future leaders of our company. Training is provided by our own in-house experts, outside consultants and our trade associations. Did you know? 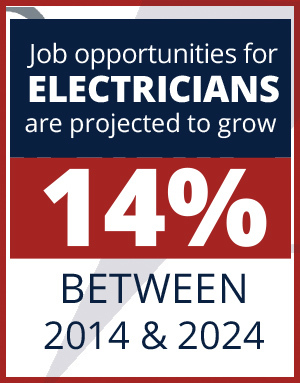 According to the Bureau of Labor Statistics, job opportunities for electricians are projected to grow 14 percent between 2014 and 2024—which is twice as high as the average growth rate for other occupations. Apprenticeships provide promising career opportunities in this booming industry. In the modern economy, only 30 percent of new jobs require an undergraduate or graduate degree—70 percent require only technical training, which is commonly accomplished on the job through apprenticeships. An exemplary training program must include real-world, hands-on education and offer this training concurrently with classroom learning—this is the kind of program Ennis Electric offers. Our electricians are required to complete a comprehensive four-year apprenticeship program. 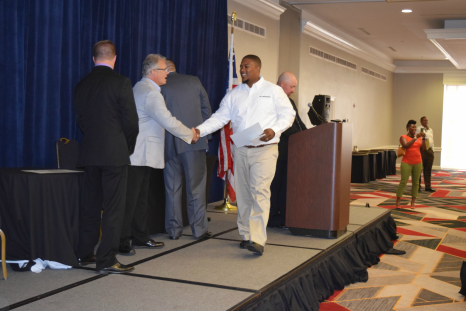 Ennis Electric’s apprenticeship program is recognized by the U.S. Department of Labor’s Bureau of Apprenticeship and Training. Our program utilizes the curriculum, classrooms and labs of the Independent Electrical Contractors (IEC) and comprises over 640 hours of classroom instruction with a minimum of 8,000 hours of on-the-job training. Completion of our program requires a firm commitment and a strong work ethic—and leads not just to job opportunities, but also to life-long careers with plenty of room for growth.